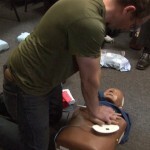 American Heart Association BLS for Providers was formerly know as BLS for Healthcare Providers. 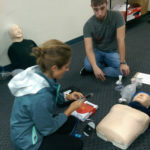 This course is typically required for medical and dental staff and students. 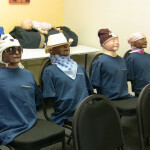 AmeriMed CPR Training is a Sharp Healthcare approved training site. 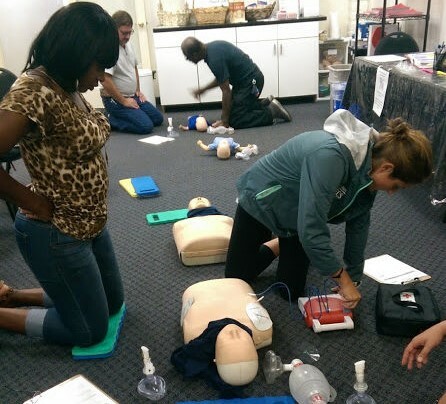 This class is the prerequisite to becoming a CPR Instructor. American Heart Association® certificates are now issued digitally via email. Physical cards are no longer issued. Minimum age required to attend this class is 16 years old. Students under 18 years old must have their parent/guardian sign a release of liability form in class at registration. You must bring a PRINTED copy of your online course completion certificate to the class. Please note that it is YOUR responsibility to enroll in the correct course. What if I don’t pass the class? Registration is only confirmed when paid BEFORE THE SEATS SELL OUT. Certificates are issued via email the first business day after class. Walk-ins are welcome for any available seats, and are accepted on a first come, first served basis. Please dress comfortably. CPR skills are practiced on the floor. American Heart Association® (AHA) course completion cards are now digital. No physical card will be issued. On the first business day after successful completion of an AHA course, each student will receive 2 emails. One email will be from the American Heart Association® with the link to their site to claim your eCard. You will receive and additional email from AmeriMed CPR Training with helpful information regarding the eCard claiming process. Due to privacy policies, eCards may not be issued to a group, only an individual. Each student must use their unique email to claim their eCard. eCards are issued in pdf format. Once your eCard is issued, you may download it, share it, and print it. You may request a course completion verification in class. Below is a sample electronic card.